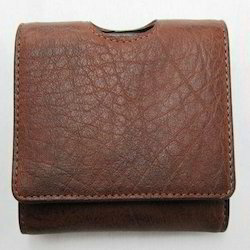 We are Prominent name engaged in Manufacturing , Supplying & Exporter of Men's Wallet. Our competency lies in trading an excellent quality range of Modern Leather Wallet. 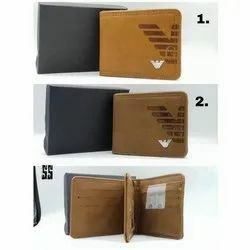 We are ranked amongst the trusted firms engaged in providing a wide range of Gents Leather Wallet. Special Feature Trendy PU Wallet and Passport Case. - Spacious and very handy with 5 slots for cards and 3 big pockets. Description : We bring a wide assortment of Leather Wallets for men. These Leather Wallets are made by using high grade leather and available in multitude of colors and patterns. Moreover, these are very cost effective and durable. Stash currency domestic (and foreign) into our stylish leather Maverick international combination in never-fail navy. The wallets supplied by us are widely used for promoting brands, people, events etc. We supply them to clients at leading market rates within the specified time and budget constraints of the clients.